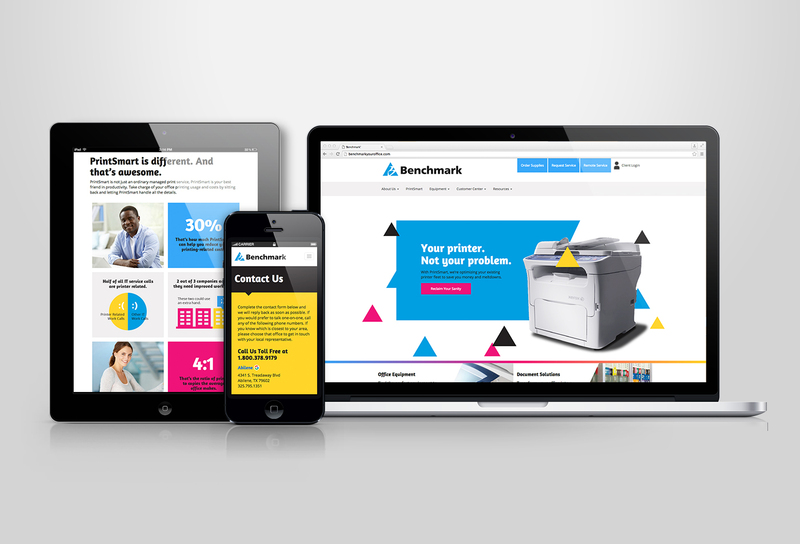 Our team carried out a complete overhaul of the Benchmark Business Solutions website. Our goal was to create an easy-to-use website that reflected the personality of the company. A main feature of the new build is a dedicated product page for Benchmark’s PrintSmart service; this page serves, not only to inform consumers, but also as a selling tool for sales representatives.